GHD Inc. offers engineering, architecture, and environmental consulting services. The company s services include feasibility studies and due diligence, project planning and economic assessment, energy and environmental assessment, design and documentation, project and program management, construction management, facility and asset audits and management, quality management and training, and operations and maintenance. It serves wastewater, water, management consulting, civil engineering, energy and resources, and environmental sectors. The company was founded in 2004 and is based in Phoenix, Arizona. GHD Inc. operates as a subsidiary of GHD Group Pty Ltd. Mobile construction management software giving builders real-time access to blueprints, punch lists, daily reports, submittals and more. For iPhone, iPad, Android, and Windows. Since 1975, Flannery Trim has focused its efforts on manufacturing a range of trim products that are designed for both interior and exterior wall systems. ISAT Seismic Bracing provides custom engineering products and services for nonstructural utilities. Over 15,000 projects completed internationally. Anaheim is a city in Orange County, California, part of the Los Angeles metropolitan area. Source Refrigeration & HVAC, Inc. is a market leader in the design, installation, repair and maintenance, optimization and sustainability of mission critical refrigeration and HVAC systems. 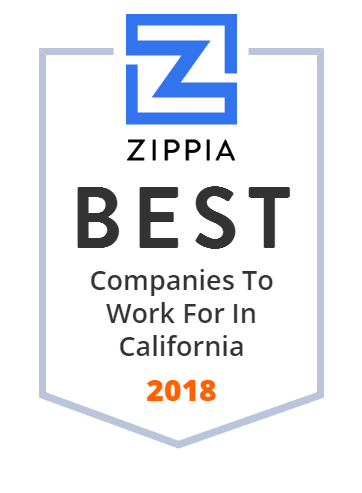 Headquartered in Anaheim, California, this company's field-based service and installation experts serve the daily needs of customers across much of the nation. They are proud to enjoy long-standing relationships with many of today's leading grocery retailers as well as market-leaders in many other industries. General contractor specializing in building affordable multi-family and senior housing in California and Nevada. CBC Framing, Inc. was founded in 1994 and is based in Canoga Park, California. Cosco Fire Protection is the largest fire protection specialist on the West Coast, providing design, fabrication, installation, service, and inspection of fire suppression systems. Villa Truss - We manufacture engineered open web floor and roof trusses for residential and commerical applications. We also supply structural hardware, I joists and Timber Trusses. We deliver to plate line in Northern California. Since 1960, Venco Western, Inc. has offered expert landscape construction and maintenance services to customers throughout Southern California, including Santa Barbara, Ventura and Los Angeles Counties. At Venco Western, Inc., they are specialists in the design and care of beautiful and pleasing landscapes for HOA, commercial, government and municipal properties. They have a comprehensive knowledge of plants, trees, lawn products, and maintenance strategies, and use state-of-the art, efficient horticulture techniques to maximize their customer's curb appeal. Gestão de Benefícios para Área de Saúde e Farmacéutica. Monterey Mechanical specializes in complex water/wastewater, industrial facilities, metals fabrication and installation, HVAC, and odor control projects. DEB Construction is a medium-sized commercial general contractor specializing in building for financial institutions, healthcare, corporate, and critical facilities. Its range of services includes design build, tenant improvements, ground-up construction, core and shell construction, seismic retrofits, high-rise restacks, etc. The company was founded in 1975 and is based in Anaheim, California with an additional office in Pleasanton, CA. Pacific Coast Building Products, Inc., through its subsidiaries, manufactures, contracts, and distributes building materials for residential, industrial, and commercial projects in the western United States and Canada. The company offers retaining and landscape walls, pavers, fence systems, packaged concrete and other products, outdoor living products, masonry products, and landscaping and garden products for homeowners, designers, architects, engineers, and contractors through a dealer network and distributors. It also manufactures gypsum wallboard products, heavy-gauge paper products, and asphalt roof shingles for the building industry; manufactures structural clay brick and brick veneer to architectural terra cotta and vitrified clay sewer pipes; and provides roofing, insulation, firestopping, waterproofing, window, fireplace, and mantel installation and service for projects ranging from single-family homes to high-rise buildings, office complexes, airports, historical landmarks, and professional sports arenas. In addition, the company offers lumber framing packages for builders and framers; building and home improvement products for homeowners and homebuilders; mill-direct shipments of lumber, sheet goods, I-joists, glue-lams, and siding for builders; transportation services for various businesses; chartered flight services; and accounting and internal audit, environmental consulting, human resources, finance, information technology, marketing and advertising, risk management, legal services, tax, and treasury management services, as well as manages and leases properties. The company serves custom homes, and small and large subdivisions. It sells its products through trendy shops and industrial ports. Pacific Coast Building Products, Inc. was formerly known as Pacific Coast Wood Products, Inc. and changed its name to Pacific Coast Building Products, Inc. in March 1976. The company was founded in 1953 and is headquartered in Rancho Cordova, California. Ancra Aircraft Division has emerged a global leader in designing and manufacturing on-board cargo loading systems (CLS), specializing in both integrated and fully mechanical CLS for narrow and wide body aircraft. 101 Pipe offers a complete line of carbon steel pipe, stainless steel pipe, welded steel pipe, seamless steel pipe and water well products. American Air Balance Company, founded in 1988, has trained and certified personnel who provide a formalized training program that is mandatory for all field personnel. The company is a certified member of the Associated Air Balance Council since 1992. Due to its latest advancement in information technology, instrumentation and computer aided design, American Air Balance provides final test and balance reports in a quick manner. Headquarted in Anaheim, CA, with an additional office in Las Vegas, NV. Bremco has designed and built projects of all sizes employing pre-engineered metal, concrete tilt-up, masonry, and other state-of-the-art technologies. Their experience in these specialized areas allows them to recommend the most timely and cost-effective methods of construction. They have provided design/build services for warehouses, light to heavy manufacturing plants, shopping centers, office buildings, processing plants, truck terminals, banks, and restaurants. Enviroplex is an engineering firm that builds customized, cost effective and DSA (Division of State Architect)-approved modular building systems for educational, governmental, military, commercial and nonprofit organizations throughout the Western United States. It offers modular classrooms and buildings, including permanent modular buildings and permanent modular schools; modular office buildings, such as green modular buildings, modular building constructions, etc. The company was founded in 1991 in Stockton, CA. Tovey/Shultz Construction, Inc. is a general contractor serving SoCal for commercial, institutional, and historical construction. Welcome to TC Construction - a San Diego based Class “A” General Contracting firm specializing in the construction, storage, and conveyance of water, wastewater, sewage, demolition and other by-products. Redondo Beach is coastal city in Los Angeles County, California, United States, located in the South Bay region of the Greater Los Angeles area.